Tree Item is a GUI control of class tree_item which provides extensive facilities for displaying a list of elements, including rows and columns in a table, trees with expandable branches and in-place editing and initiates lazy evaluation of tree elements, if required. This GUI control is used in several parts of the user interface to the Smallworld Core Professional application, such as Object Control, Version Management and object editors. 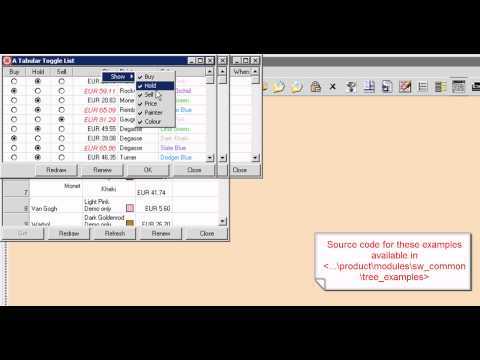 See different examples of use of a Tree Item in a GUI design.